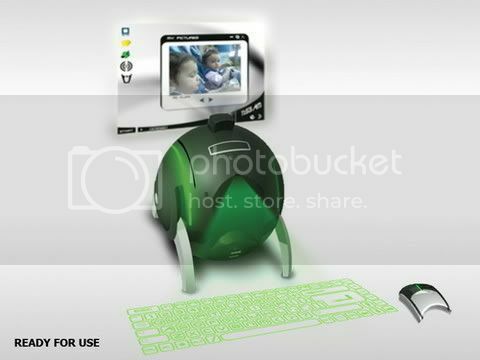 Here’s an awesome pc concept known as E-Ball designed by Apostol Tnokovski. Looks like he just said “balls” to current generation pcs. 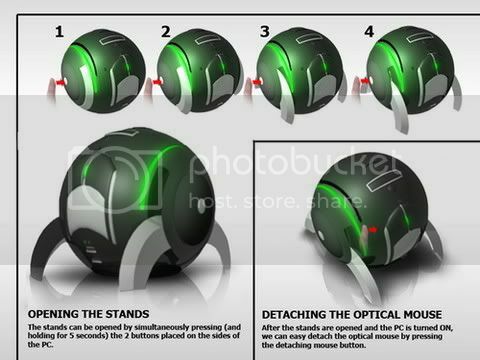 As you can see in the below pic, the E-Ball pc is a spherical PC concept. It stands on legs that emerge from its underside and is just 6 inches in diameter. It features a projected display screen and keyboard. Wait a sec! What about the mouse? 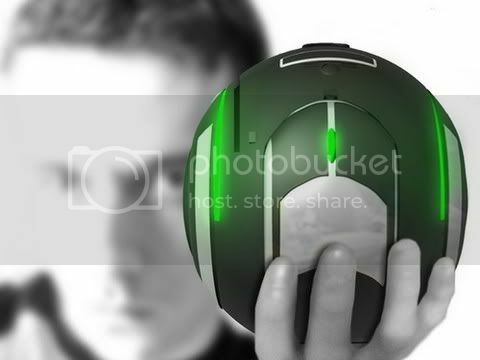 Well, you don’t need to worry about the mouse, there’s an optical mouse attached to E-Ball which can be detached for use. So, if you carry this ball you don’t really need to carry a keyboard, monitor and a mouse. Oh boy! That sounds like a portable desktop. Isn’t it? Now you might be wondering about the hardware present in it. I guess it might use laptop components due to the space restraints. Even if this pc is seen in reality I don’t think people will like the optical keyboard. Why? Well, the reason is simple. You gotta bang your fingertips on a desk for any length of time. And if you’re typing a long article you certainly won’t like it. And as far as the rest of the things go, it looks pretty good.